Kvass-Based Soft Drink Launching in U.S. Pure Ally is introducing Kwass’Up, a malted non-alcoholic beverage, to the U.S. market. Pure Ally says this unusual soft drink, made with only natural flavors, contains less sugar and calories than traditional sodas and sports drinks. "Kwass’Up has been described by testers as “far more refreshing” than typical soft drinks," the company says. Kwass’Up is made using a traditional malting process which begins with whole grain rye and barley. The process of malting partially breaks down nutrients so they are absorbed by the body easier and faster. When the product is consumed, the accelerated digestion is responsible for a completely natural boost of energy—without any additives or caffeine. Packaged in 2-liter PET bottles and 16-oz aluminum bottles (which stay cold longer) Kwass’Up is available in three flavor variations: Traditional, Ginger and Cranberry. Slated to hit stores in by the New Year the product will launch in select markets within the New York Tri-State area and South Florida. In an effort to promote this great new product to consumers, Pure Ally will rely on creative Point-of Purchase display materials, in-store tasting events and a mix of branding and promotional efforts in traditional and digital media. 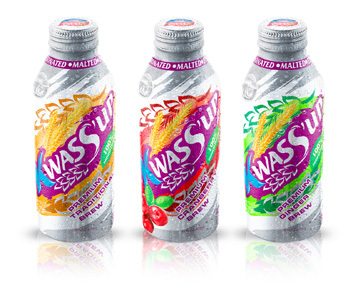 Though it’s a premium product,Kwass’Up will be priced on par with similar beverages. Kwass-Up’s audience is expected to be active individuals who are looking for a better soft drink choice. This beverage appeals to a market that craves natural, low-sugar energy reinvigoration without sacrificing soft drink taste. Due to the uncommonly refreshing nature of the drink, Kwass’Up is anticipated to become an instant hit among active and health-conscious consumers. Preliminary market research shows that testers view Kwass’Up as “Adventure in a Can” — a taste that evokes images of robust health and fun.